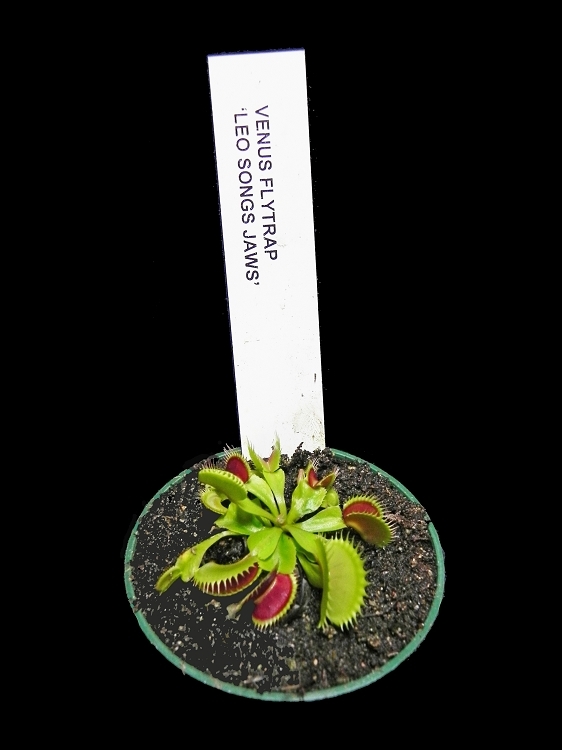 Venus Flytrap 'Leo Songs Jaws' - small potted - NEW LOWER PRICE! 'Leo Songs Jaws' has the typical green coloration of most flytrap varieties, but with nice red-tinged traps and triangular green teeth. We have found this variety to be extremely vigorous, and a much better grower than many of the other dentate cultivars. This is a small but healthy plant in a 3-inch pot and ready to grow.